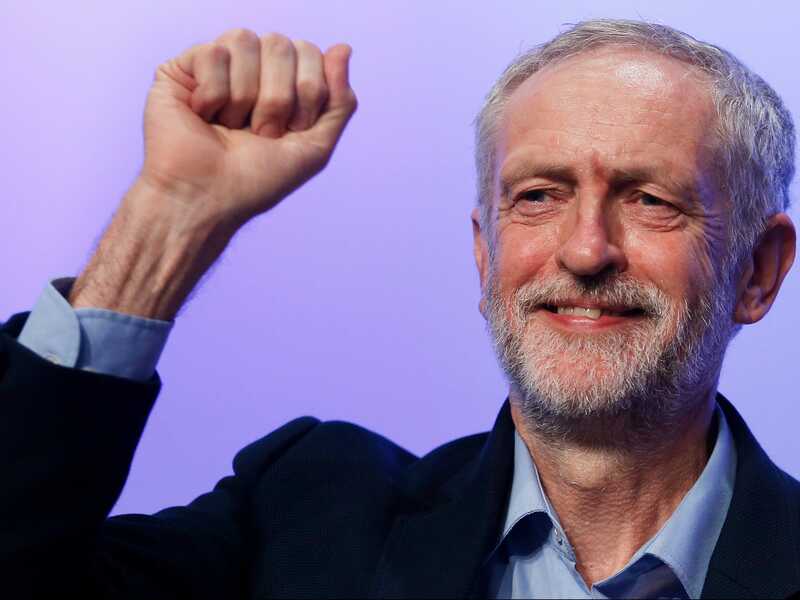 We are all building up to a General Election here in the UK on June 8th. However, politics and cricketers do not always go hand in hand. To most cricketers, T. May was Shane Warne's spin twin on the 1993 Australia tour of England whilst most players are more au fait with Jeremy Coney than Jeremy Corbyn. Saying that, the pacifist Labour leader probably still has more venom in his bowling than the Kiwi ever did, although I have to question if the current Conservative leader has modelled her hairstyle from Coney's team mate, Ian Smith. There are one or two exceptions to the non political cricketers though and here are a few that have made the transition from their whites to the blues and reds. What I find interesting on Twitter is that the cricketing press tend to be slightly more left leaning than the players. The likes of Ian Botham, Darren Gough and a few others have all been known to lean slightly to the right of the centre ground politically. Beefy was quite openly a 'Brexiteer' and has called for Corporal Punishment to be brought back, however his stance on playing in South Africa in the 1980's can only be admired. 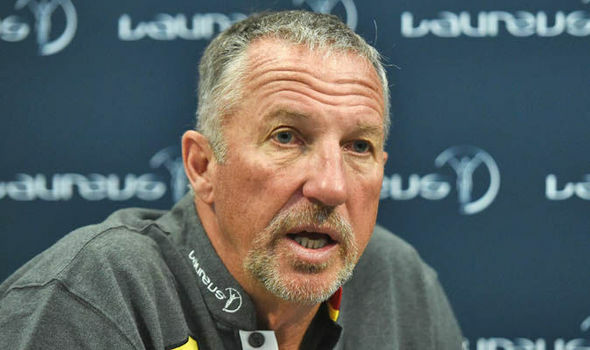 Botham's mentor, Tom Cartwright supposedly feigned injury so not to tour South Africa in 1968 and Botham refused to accept the vast money on offer to play in rebel tours due to his close friendship with Sir Viv Richards. The majority of cricketers tend to support the Conservative Party. The links between the game and public schools are well known and there is a train of thought that to be a decent batsman you need to be selfish and greedy; terms that have been directed at the current government. The connection between accumulating runs and wealth cannot be discounted. Trying to find Labour supporting cricketers has been pretty hard, given my Google searching all morning. There aren't many cricketers who are openly political now. John Simpson of Middlesex is one cricketer who I have had a chat about politics with in the past but your average county player is more likely to be found discussing anything but politics. A search of their phones tends to reveal Weather Apps and various other dubious videos, along with an App to guide them to the nearest Nandos in whatever town their profession takes them to. Lord Ted Dexter was one such famous cricketer who transcended the sport and the political spectrum. Standing in Cardiff South East in the 1960's against future Prime Minister James Callaghan, Lord Ted managed to turn Callaghan's majority of 868 into one of just under 8,000 as the residents of Tiger Bay decided that the Old Etonian wasn't the man to save the docks of the Welsh capital. One can only suggest that Dexter had a similar result when England's head honcho in 1989 as the Aussies made 'Gower's soldiers' (Ted's poem not mine) lose their deposit. Robin Marlar also stood in a by election in Newbury in Berkshire for the referendum party gaining a whopping 300 odd votes and beaten into ninth place by Screaming Lord Sutch. Peter Such would have done better. There are some MP's who love their cricket. Lord Ted might not have made it as a cricket loving Cardiff MP but Jo Stevens who represents a seat in the City is an avid follower of all sports and has followed these hallowed pages of The Middle Stump on Twitter for a few years. Andy Burnham is also a big cricket fan, whilst the Rt Hon Mark Field MP gave me an excellent interview five years ago with his praise for Alastair Cook and memories of a Graham Gooch hundred in a Benson and Hedges final in 1979, being spoken of. Boris Johnson was famously pictured donning his whites the day after the Brexit result of last year, whilst Peter Roebuck look a like, Jacob Rees Mogg has been known to follow the fortunes of Somerset CCC, ironically where his doppleganger played. John Major was far happier at his beloved Oval than he seemed to be across the hustings during Prime Ministers Questions. In other countries cricketers have used their popularity to gain access to politics. Sachin Tendulkar, Kumar Sangakkara, Roy Fredericks and others have moved into the political sphere, although Mohammed Azharuddin, banned from the game for match fixing, also gained access to this profession. Surely this might even raise an eyebrow amongst the Electoral Commission should it happen in the UK. Then again, perhaps not. Darren Gough flirted with the idea of running for the Conservative Party in Barnsley and put the phone down after a call from Tory HQ, thinking it was a wind up prank from one of his team mates. Running as a Conservative in Barnsley can only be akin to 'Dazzler's' uphill battles against the Australians in the 90's. Finally, spare a thought for the following story. Jack Russell is a life long Labour supporter and his team mate at Gloucestershire, Bill Athey was a Tory. In Simon Hughes book "A Lot of Hard Yakka" he describes Russell and Athey travelling back from a game in Yorkshire back to the same constituency in the West Country where they both lived. Athey put an 'X' in the box for the Blues whilst Russell did the same for the Reds, thus cancelling each others votes out. Cricket and politics are further intertwined than you think. if you want to download cricketer wallpapers than jobloo is very popular these day.